Sam Nicolino, Founder, President and CEO of Adaptive Sound Technologies Inc.
A major lifestyle adjustment for new parents is the infrequency and inconsistency of sleep, a variable often dictated by the new baby. Most infants tend to sleep for shorter intervals more frequently throughout the day, and many parents endeavor to create a quiet environment to encourage consistent sleep habits. However, the transition outside of the noisy womb to a silent space can actually prove problematic in developing a sleep schedule. 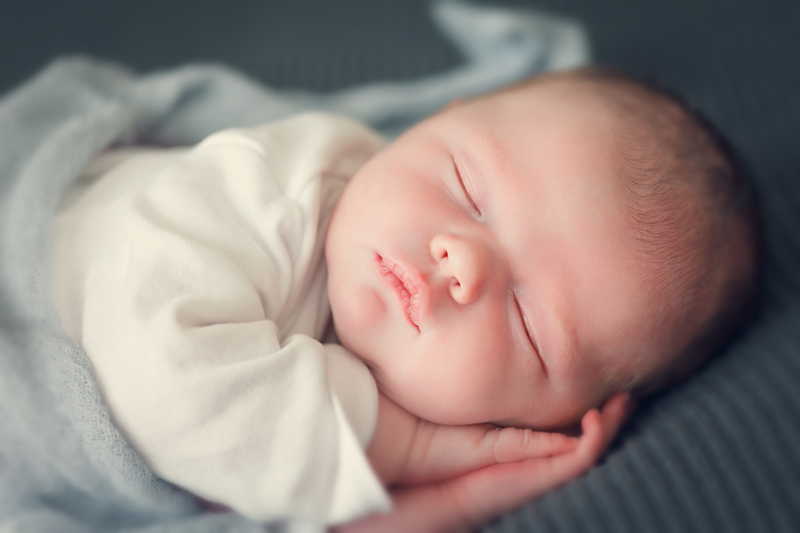 According to the National Sleep Foundation, the circadian rhythm, or sleep-wake cycle, of newborns begin to develop at about six weeks, and doesn’t regulate until they are three to six months old. Infants also have a more sensitive ear canal than adults at this stage, making them hypersensitive to a variety of stimuli in the house. When trying to sleep, they often wake due to loud noises disrupting their sleep, or suprisingly from an environment that is too quiet. Recent findings from the Royal Postgraduate Medical School at Queen Charlotte’s and Chelsea Hospital in London have shown that one way to help your newborns sleep better is by introducing them to noise machines. The rainbow of colors in a sound spectrum reflect the relationship between two main characteristics: frequency and amplitude. As Megan Neal discusses in a piece for The Atlantic, “frequency is how fast the waveform is vibrating per second (one hertz is one vibration per second), and amplitude (sometimes measured as “power”), or the size of the waves. The noise types are named for a loose analogy to the colors of light: White noise, for example, contains all the audible frequencies at equal amplitude, just like white light contains all the frequencies in the visible range.” Reduction in the intensity of high frequencies creates a deeper, gentler sound than that of white noise. As Neal writes, “pink noise, for example, is like white noise with the bass cranked up. It’s a “shhh” sound with a low rumble mixed in, like the soft roar of a rainstorm. According to Elizabeth Pantley, author of the best-selling “No-Cry Sleep Solution” parenting book series, your newborn can benefit from better sleep with the sounds of pink noise. The lower frequencies can also be more pleasing to the developing ear canal of infants as well. Some sounds that parents say their baby prefer are pink or brown noises that resemble ocean waves, the pattern of rainfall or the rustling of leaves. If your baby sleeps with you, you can choose from a variety of properly generated noises that are favorable to your ear, and both of you can enjoy a full night of sleep. While pink noise is safe for your baby, Pantley suggests that parents keep in mind the volume of the noise, not being any louder than a soft bathroom shower, and to place the sound source at least three feet away from your baby. The gentle sound of pink noise is similar to the whooshing water sound of the womb which can help soothe the baby to sleep. Without adequate sleep, children can suffer negative physical, mental and emotional consequences as they continue to develop. Research has shown that sleep is essential to nearly all functions of development, including physical growth. According to leading expert Judith Owens, M.D., director of the Center for Pediatric Sleep Disorders and Professor of Neurology, Harvard Medical School, growth hormones are primarily secreted during deep sleep. Additional benefits a child receives from sleep include an increased attention span and learning capabilities, improved vascular health and less likelihood of becoming overweight. Sam Nicolino founded Adaptive Sound Technologies, Inc. (ASTI), a leading sleep technology company based in Silicon Valley, where he serves as president and CEO. ASTI sound machines are the go-to sleep aid for the millions of people who have trouble falling and staying asleep. They feature naturally recorded, non-looping sound stories to help people achieve the best night’s sleep they’ve ever had. Prior to ASTI, Nicolino co-founded AppNet Inc., which was acquired by NVIDIA in 2001, and also worked at leading Silicon Valley companies including Intel, ATARI, Silicon Compilers, and National Semiconductor Corporation. Nicolino earned his master’s and bachelor’s degrees from Iowa State University.